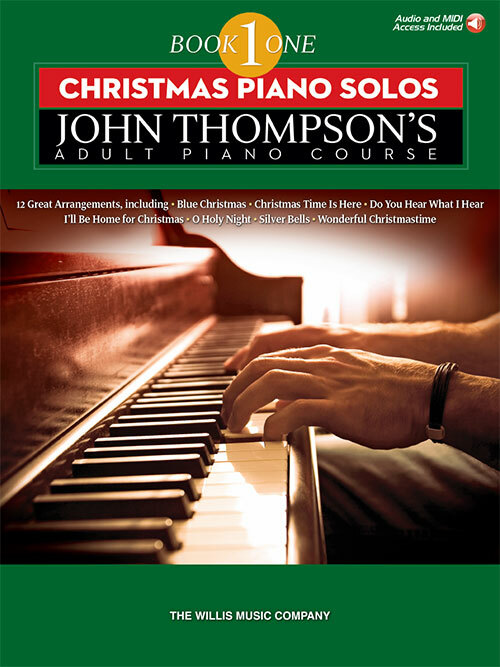 12 great Christmas piano solos for the more mature student that can be used on their own, or as a supplement to John Thompson's Adult Piano Course (Book 1). Titles: Blue Christmas • Christmas (Baby Please Come Home) • Christmas Time Is Here • Dance of the Sugar Plum Fairy • Do You Hear What I Hear • Feliz Navidad • I Heard the Bells on Christmas Day • I'll Be Home for Christmas • Mister Santa • O Holy Night • Silver Bells • Wonderful Christmastime. This book includes access to audio tracks online that can be downloaded or streamed.